This weekend is special and you know why! Halloween is coming. So we start our digest with where you can celebrate it! On Saturday, 29 October, Mexican spirits will haunt the Buddha-Bar Monte-Carlo on the “Dia de los Muertos”, and Asian fusion cuisine will be served in an ambience of pumpkins carved in original designs and other creations by our chefs. 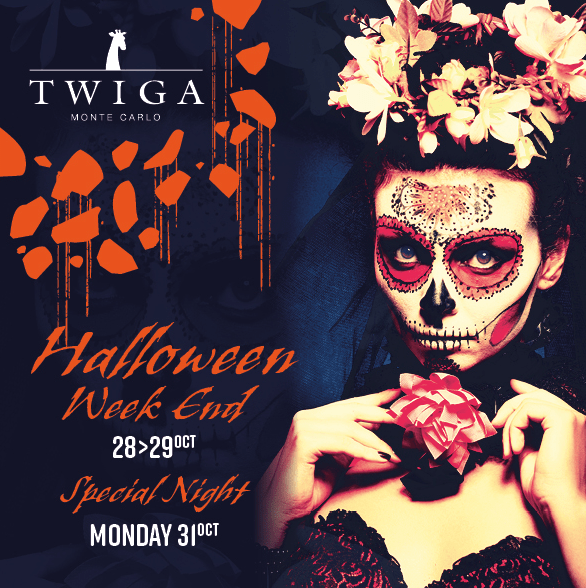 The Buddha-Bar Monte-Carlo is happy to welcome you to its exceptional Halloween party with a “Dia de los Muertos” theme. Just because the colourful, flower-filled Day of the Dead is a typical Mexican holiday doesn’t make it any less scary! During this deliciously terrifying evening, strange-looking pumpkins will take over the restaurant. Admire, then vote for the best pumpkin – you could win a meal for two! Amber light, a relaxing ambience, an Asian inspired decor, an elegant and customised sound, and exceptional cocktails to boot Buddha-Bar Monte-Carlo is the perfect place to spend a super Halloween night! To celebrate Halloween, Chef Eric Guillemaud and Chef Gian Franco Brugaletta invite you to try, in addition to the menu, their deliciously spooky dishes specially prepared for this occasion. The incredible DJ PAPA will be on the decks for the evening. On 31 October, come join us for Halloween at La Rascasse, in a fun-filled spooky atmosphere that will send a shiver up your spine! It’s a full moon, the streets are deserted, and dogs are howling in the distance … The zombies have just come out of their graves and are invading the streets on Halloween! Head to La Rascasse, where you won’t know whether to laugh or scream in the deliciously spooky ambiance! Spider webs, screaming pumpkins, prisoners facing the death penalty and the zombies and other horrors will make this a night that you will never forget! Come dressed in your eerie best to win a bottle of champagne, which will be awarded to the person wearing the scariest costume. Join La Rascasse staff, who will also all be in costume, for some great instant photos on an electric chair … Just terrifying! Come get spooked at 1 quai Antoine 1er! There’s even space to park your broomsticks. DJ Eduardo and the band The Shakes will be keeping the ambience alive in the dead of night. During four days of the 77th Skål International World Congress in Monaco Travel and Tourism executives coming from 5 Continents will exchange ideas, information and expertize to anticipate business trends and build new success stories. In the afternoon of Sunday October 30th, 2016 the event will open its doors to the local tourism and travel operators that will benefit from great presentations from industry experts and speakers like Guillaume ROSE, Director of the Monaco Government Tourist Office and Nick Danziger, Traveller, photographer, author and documentary film-maker. Also they will be able to attend a Business to Business session where local and international suppliers will present their latest products and services. Art Monaco 2016. Because life is also an art! From Thursday 27 October to Sunday 30 October, Espace Fontvieille : Art Monaco 2016″ Contemporary Art Fair organized by Opus Eventi. Opus Eventi is delighted to once again, for the seventh year, present you the highly anticipated Art Monaco. This year’s edition will take place from October 27th to 30th 2016, where art enthusiasts and those lusting after luxury are invited to satiate their palettes at one of the most opulent global art shows to grace the French Riviera – The Art Monaco Contemporary Art Fair. Being hosted at the notoriously nicknamed “playground for the rich and famous”, Monaco’s cultural flavor will peak during the celebrated four-day art exhibition. Featuring some of the most globally sought-out artists and their accompanying artworks, all artists and galleries chosen to exhibit at Art Monaco’16 will be custom-picked by our experienced team of art critics. Complimenting the raw elegance and breathtaking beauty that the Principality of Monaco famously boasts, Art Monaco will once again provide a platform for attendees to experience only the most compelling and current works that the fine art world has to offer. Art Monaco’16 will act as a stage for established and emerging galleries alike, featuring studio artists from all over the world, each of whom bring their own unique voice to the exhibition. Inviting artists specializing in an array of fine art mediums, Art Monaco’16 will serve as a fully rounded exclusive social nucleus hosting some of the most influential figures in the global fine arts industry. 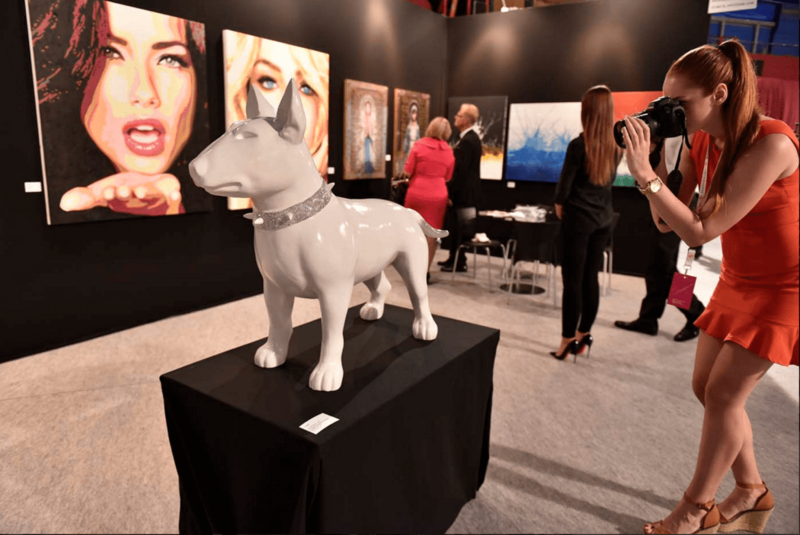 Attracting art galleries, cultural institutions, art critics and collectors, Art Monaco has exceeded expectations and impressed those in attendance since its debut event in 2008. Offering over 4,000 art pieces on display for exhibition and sale, this is a prime opportunity to immerse oneself into a rich collection of global art either as admirer or as purchaser. 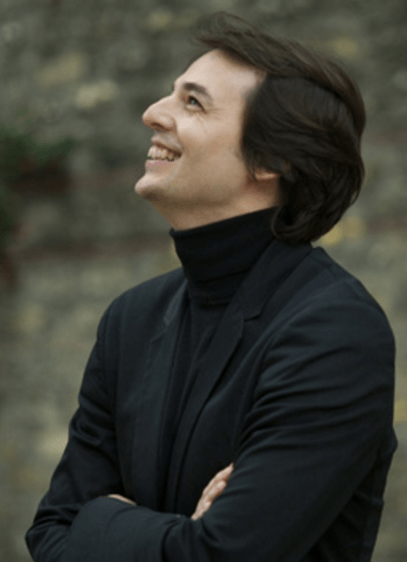 Sunday 30 October, at 3 pm Auditorium Rainier III – Salle Yakov Kreizberg : Family Concert Series: symphonic concert for Halloween by the Monte-Carlo Philharmonic Orchestra conducted by Julien Masmondet. On the programme: John Williams, Modest Mussorgsky, Hector Berlioz, Bernard Herrmann and Camille Saint-Saëns. The family concerts are specially designed for a young audience. You can check our calendar for other events! Enjoy the weekend!